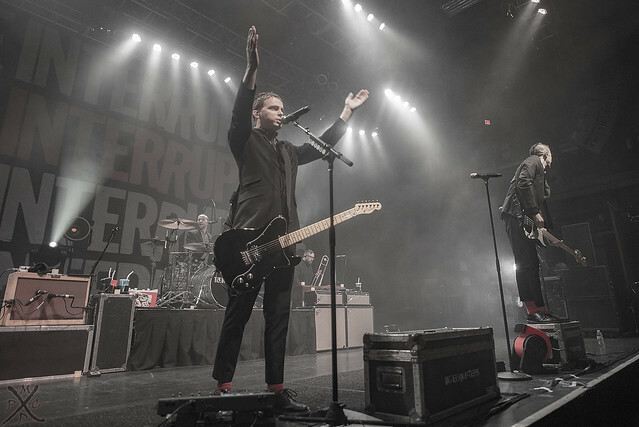 Posted on 03/20/2019 by mdxpc	in Live Review and tagged Los Angeles, punk, ska, The Fillmore Silver Spring, The Interrupters. 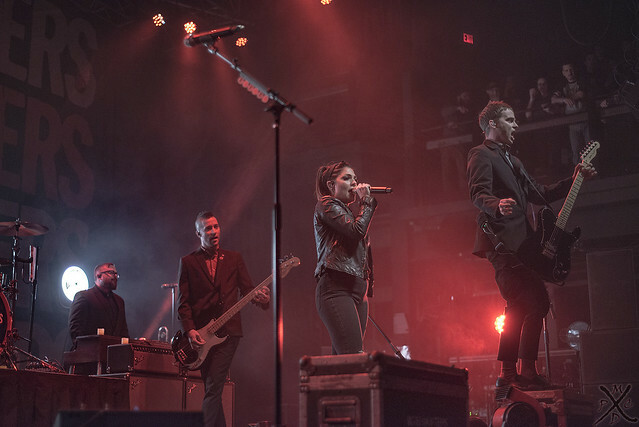 Approaching the midpoint of their Fight the Good Fight Spring Tour, The Interrupters made their DC stop at The Fillmore Silver Spring recently. 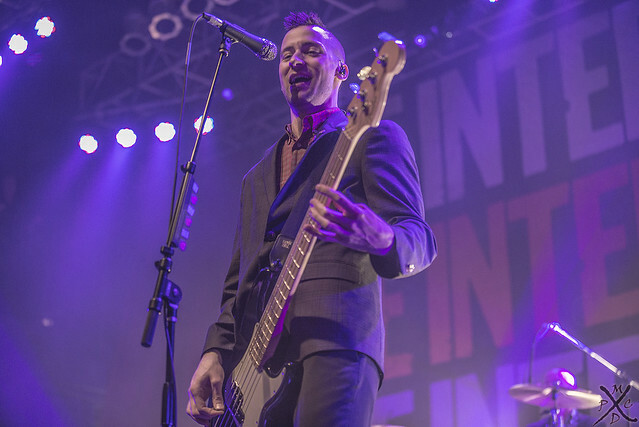 This show, in particular, served as a milestone for the Los Angeles-based ska-punk band. 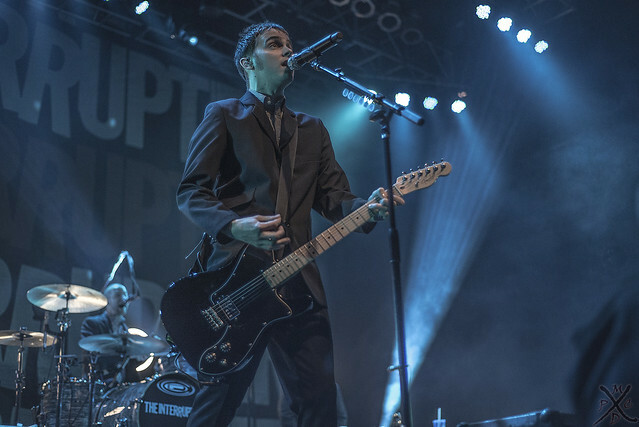 Guitarist Kevin Bivona beamed on stage as he announced that by selling out The Fillmore, this was that largest headlining show to date for The Interrupters since the band’s 2011 inception. 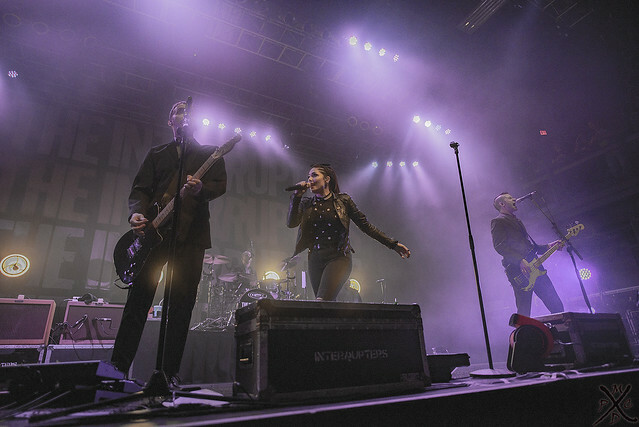 Fronted by Aimee Interrupter on vocals, The Interrupters also features twin brothers Jesse and Justin Bivona on drums and bass respectively, in addition to Kevin on guitar and Billy Kottage from Reel Big Fish on trombone and Hammond organ. 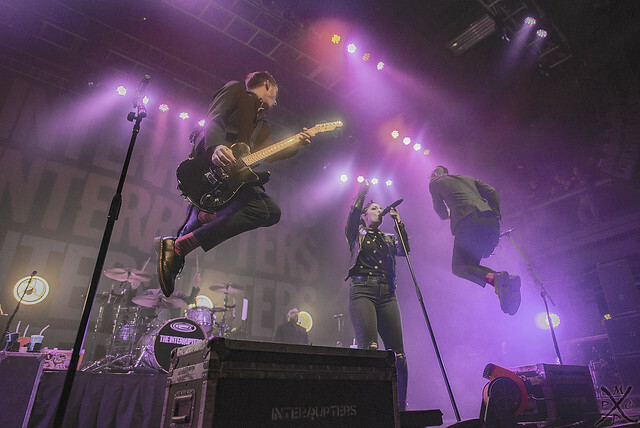 On March 16, The Interrupters took to the stage with the exuberance of a quintet of nuclear powered wind-up toys. One of the earlier songs in the set, “She Got Arrested,” happened to coincidentally be a rare song featuring a main character from Maryland. 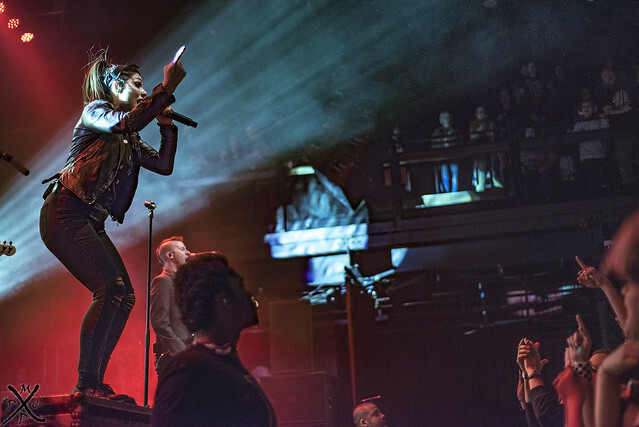 A few times during the set, Aimee Interrupter made the decision to forego the confines of the stage and made her way to the floor – skanking right along with everyone else in the building. 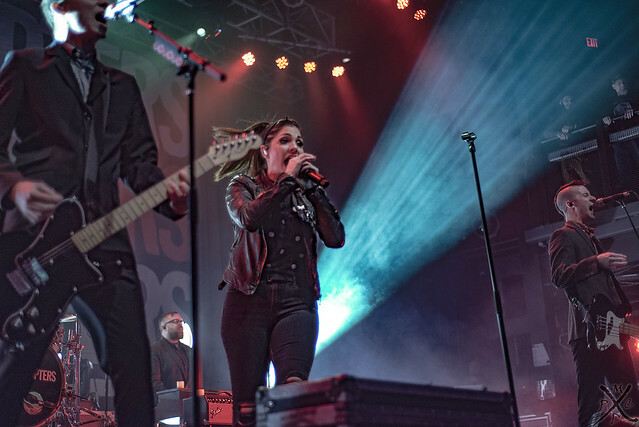 The solidarity between the band and fans was to be expected at a show where the band opened its set with a song about friendship (“A Friend Like Me”) and closes with a song about family (“Family”). 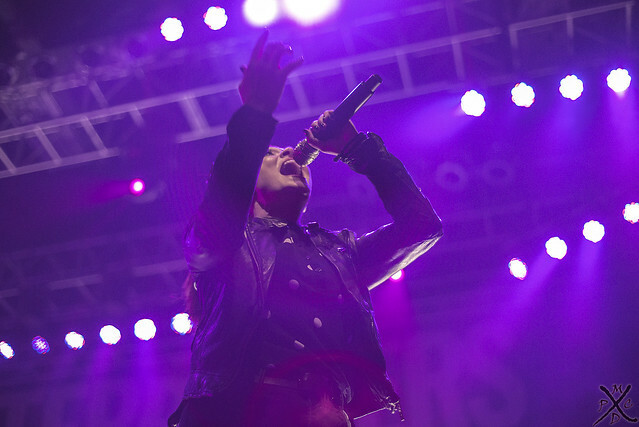 Throughout the journey from fans and friends to family, Kevin made sure to instill The Interrupters’ family values. According to Kevin, it’s love, togetherness, unity, and music that can heal a broken world. 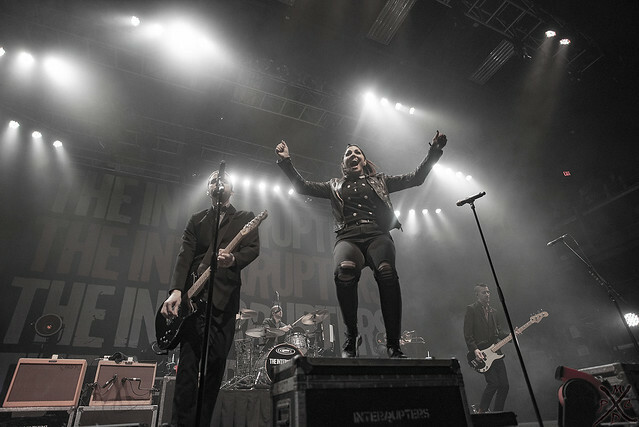 Being that The Interrupters are a West coast band, it’s fitting that their choice of a cover song would be their own rendition of a song by another West coast band. The lingering question was which band would Aimee and the Bivona brothers decide to cover? Once Kevin made the announcement that the band would be covering a band from the bay area, the field was narrowed. Slightly. A snippet of Metallica’s “Enter Sandman” was cut short and quickly followed up with “The Power of Love” by Huey Lewis and the News. Briefly. Until the opening riff of “Linoleum” by NOFX rang out — then faded out — giving way to the instantly recognizable palm-muted chords of Green Day’s “When I Come Around.” For about half of a verse. At this point, it was still a guess as to if there was a full cover song coming, or if the show would continue as a medley of mini-covers of songs by iconic Northern California bands. Jesse counted the band in to start Rancid’s hit, “Time Bomb.” By this time, the crowd was singing along through the first verse and the chorus, and it was obvious that this was the cover song that we’ve been waiting for. *But* it’s not. Seamlessly, the band weaved from “Time Bomb” straight into Op Ivy’s “Sounds System,” and it’s finally revealed that the intent all along was to cover a track by Berkeley’s Operation Ivy. It was well worth the wait — the place went off! 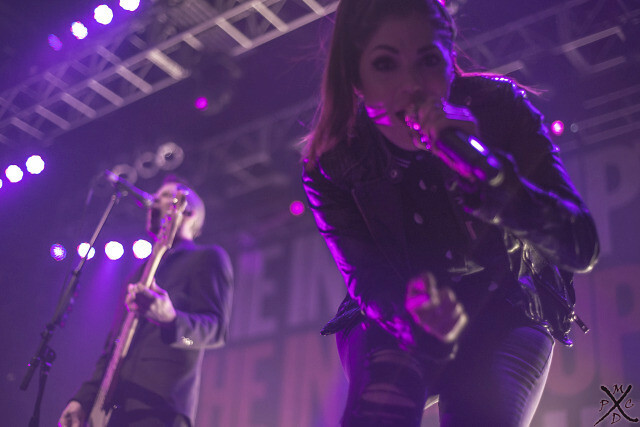 The Interrupters continue to weave their way through North America, selling out shows along the way. Consult the band’s website for tour dates. 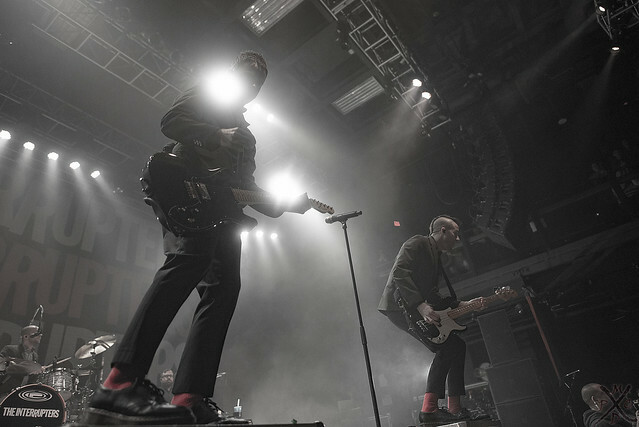 Here are some pictures of The Interrupters performing at The Fillmore Silver Spring on March 16, 2019. All photos copyright and courtesy of Rashad Polk.